It’s #NationalBrownDay! Because brownies. Below is the real Moosewood Cookbook brownie recipe. They’re gooey and taste incredible–like Dunkin Heinz without all the chemicals. I use whole wheat flour, but no matter because there’s hardly any flour in them. They’re pretty much sugar and chocolate. They’re heavenly. But on any ol’ day, I generally steer clear of recipes with a cup of sugar and 1/2 cup butter. I adapted the original recipe for one that’s better for our after school and lunch snacks. 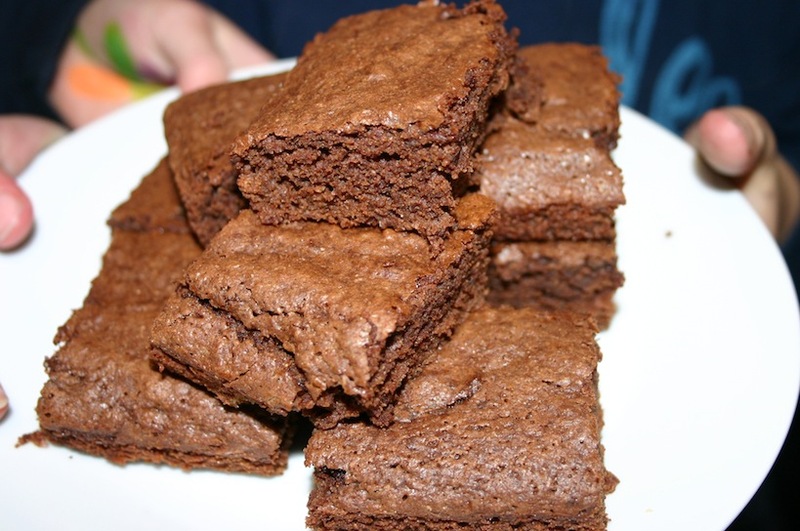 It’s delicious as well…as long as you haven’t had the real brownie recipe too recently. The healthy version is below the original. Gosh, they were cute when they were little. Preheat the oven to 350 degrees. In a heavy large pot, melt the butter and chocolate together over a low flame. Once they melt, remove the pot from the heat and add the other ingredients right into the pot. 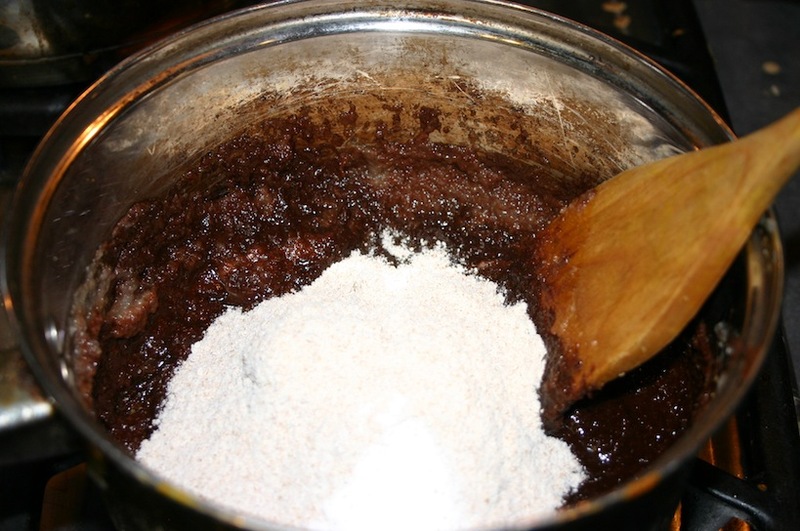 Pour mixture into a greased 8×8 pan and bake for 20 minutes until brownies just begin to pull away from the edges. The middle will still be a little fudgy. Preheat the oven to 350 degrees. In a heavy large pot, melt the chocolate over a low flame. Remove the pot from the heat and add the other ingredients right into the pot. Pour mixture into a greased 8×8 pan and bake for 20 minutes until brownies just begin to pull away from the edges. The middle will still be a little fudgy.